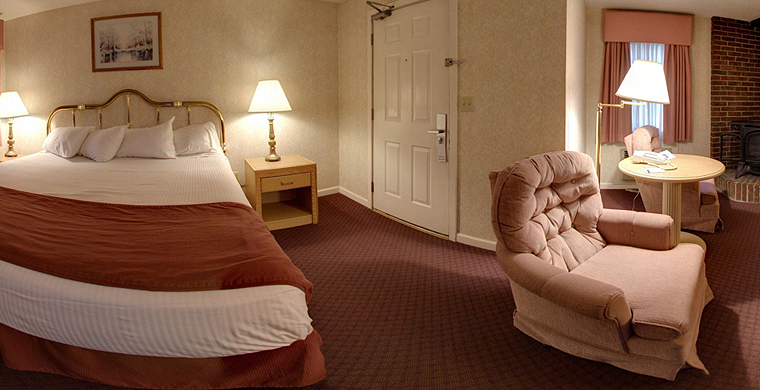 Whether you’re planning a romantic weekend for two or an action-packed family getaway, Zoder’s Inn & Suites has the guest room or suite to suit your needs. From rooms within earshot of our rippling stream to cozy historic cottages, our accommodations merge modern amenities with all the comforts of home. Beautifully furnished, each climate-controlled room and suite has a television, coffee maker, microwave, mini-refrigerator, iron and ironing board and hair dryer. 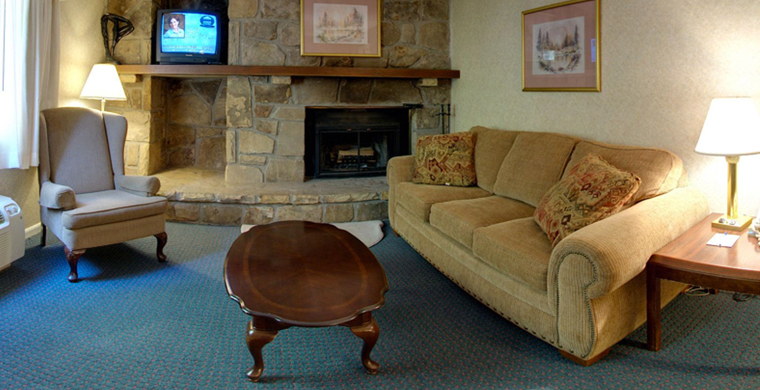 Many have gas fireplaces and in-room whirlpool tubs. 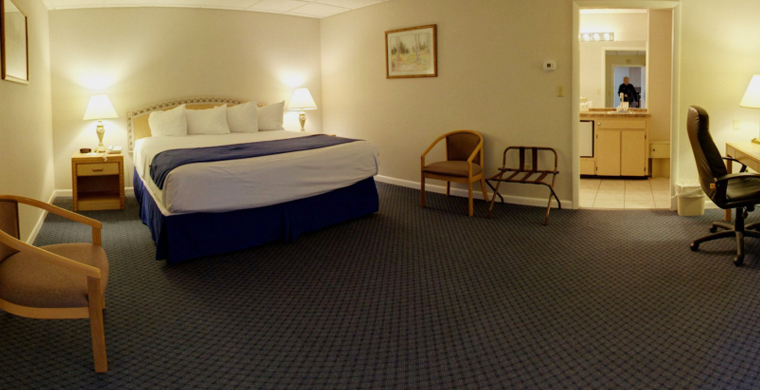 Zoder’s Guest Rooms comfortably accommodate couples and families of up to four. Featuring guest’s choice of either a king bed or two double beds, these rooms have balconies overlooking the stream or the outdoor pool terrace. Ideal for couples, Zoder’s three ultra-private historic Guest Cottages are furnished with a king bed, small refrigerator and coffee maker. 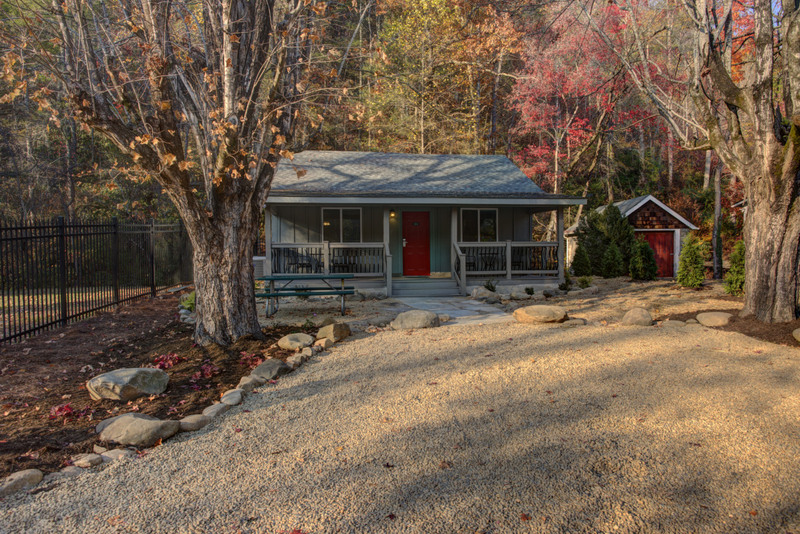 Cottages #170 and #179 have gas fireplaces and cottage #179 – affectionately known as “Honeymoon Haven” – also has an indoor jacuzzi and breezy porch overlooking the stream. Featuring access to all the amenities of the inn, including its indoor and outdoor pools and fitness center, the cottages are in high demand year-round. Fireplaces are seasonal from October - April. 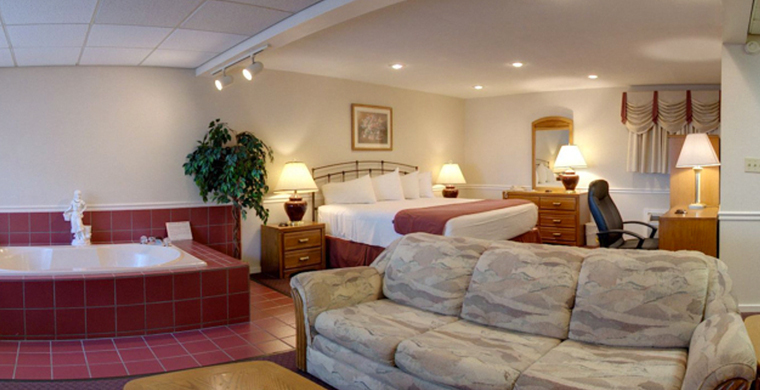 Zoder’s non-smoking Courtyard Suites are ideal for a family of four or a couple who enjoys extra living space. Featuring easy access to the glass enclosed Hydra-Spa, these comfortable suites have a private bedroom with king bed and full bath and separate living room with a Murphy bed and gas-burning fireplace. Fireplaces are seasonal from October - April. 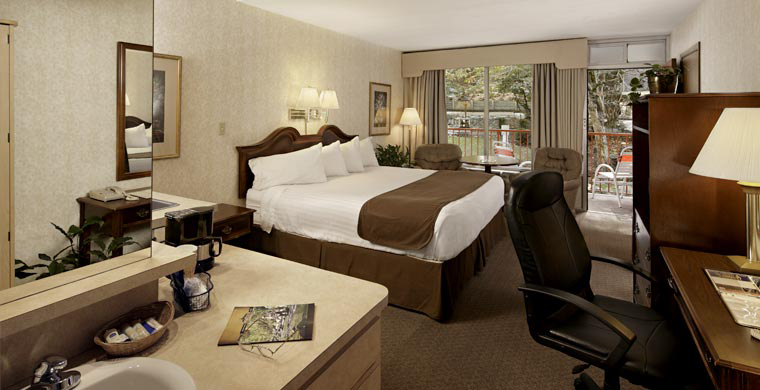 Ideally accommodating couples or families of up to four, our beautifully furnished Executive Suites feature a living room with a gas fireplace and sleeper sofa and private bedroom with a king bed and balcony overlooking the stream. All executive suites have a small refrigerator and coffee maker. Fireplaces are seasonal from October - April. Non-smoking. This room is accessible by stairs only, no elevator. Each bi-level Townhouse Suite has a unique configuration, allowing families to choose the layout that works best for them. 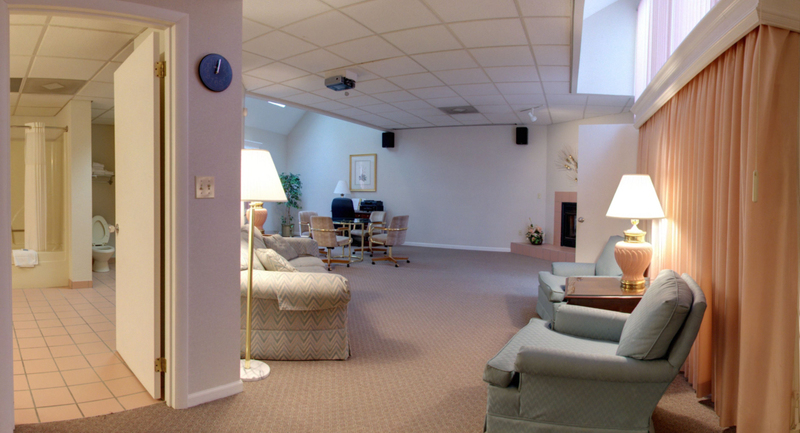 All are non-smoking and feature an open loft with a living room downstairs, two full baths and two televisions. - Townhouse #130 accommodates up to six guests with a sofa bed downstairs and two double beds and a kitchenette upstairs. - Townhouse #131 accommodates up to four guests with a Murphy bed downstairs and a king bed upstairs. - Townhouse #132 accommodations up to six guests with a Murphy bed downstairs and two double beds upstairs. - Townhouse #133 accommodates up to four guests with a downstairs sofa bed and a king bed upstairs. A cozy, 2-bedroom, 2-bathroom cottage that accommodates up to 6 guests. Bedrooms feature one Queen Bed, the Living Room Area is furnished with a Queen Sofa Sleeper and Gas Fireplace, Full Kitchen with stainless steel appliances and Dining Room Area with a table and four chairs. A front porch and back porch with a beautiful view of the river complete this unique cabin. Fireplaces are seasonal from October - April. Call 865-436-5681 or 1-800-720-5228 to check availability. 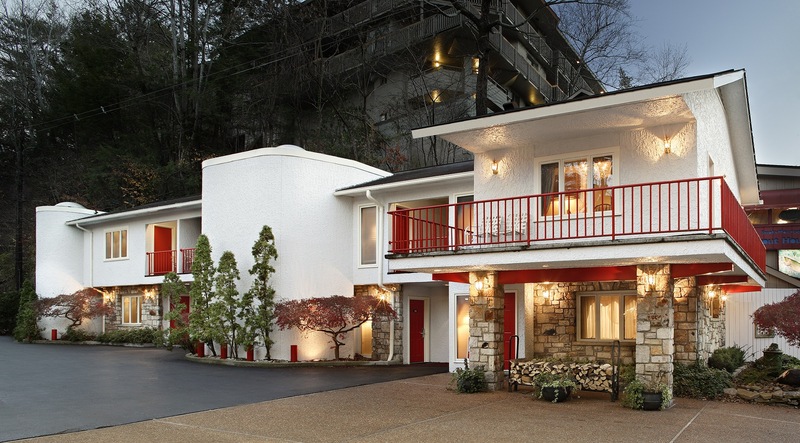 A favorite of Gatlinburg honeymooners, Zoder’s romantic Dream Villa Suites feature a spacious living area with cozy king bed, a crackling gas fireplace and in-room Jacuzzi. Fireplaces are seasonal from October - April. Looking for a home-away-from-home comfort of a condo with all the luxuries of a hotel? 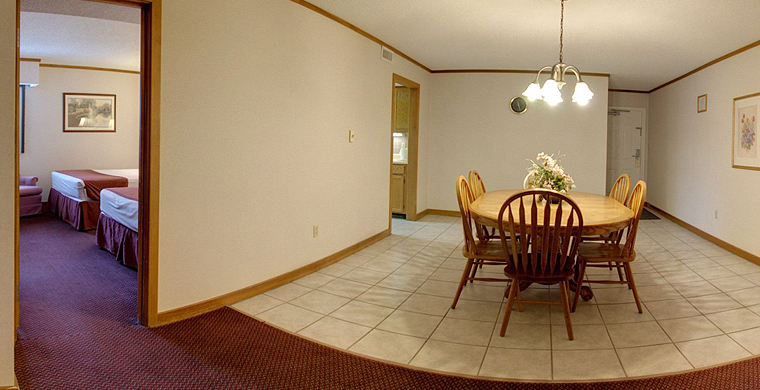 Zoder's Tower Suites are the perfect choice for large families and vacation get-together for up to eight guests. Featuring a balcony overlooking the stream, each Tower Suite includes a full kitchen, dining room, living room with a Murphy bed, and television. The private master bedroom has a king-sized bed, full bath and a television. The second bedroom has two double beds and a full bath as well. For the ultimate in luxury and comfort, each of Zoder’s 1,000-square-foot Super Suites features a spacious living room with 100” projection television, opening to a king-size bedroom with a deluxe, oversized bath area featuring a private Jacuzzi, sauna and gas fireplace. Fireplaces are seasonal from October - April.